New claims for unemployment benefits dropped sharply last week, a sign that layoffs could be slowing. At the same time, hundreds of thousands of Americans are losing jobless aid because Congress has yet to pass an extension of benefits. Still, claims have fluctuated wildly in the past several weeks and have not dropped below January levels. Elevated unemployment claims, along with last month's weak jobs report and a struggling housing market, have economists worried the recovery is slowing. "While the report is good news, it would need to be followed up by several more weeks to suggest a pickup in hiring," Julia Coronado, an economist at BNP Paribas, said in a note to clients. Even as first-time claims fall, the number of unemployed Americans receiving benefits is dropping sharply because their aid is ending. About 350,000 people saw their benefits cut off in the week of June 19 because Congress left for a weeklong recess without extending federal jobless aid. 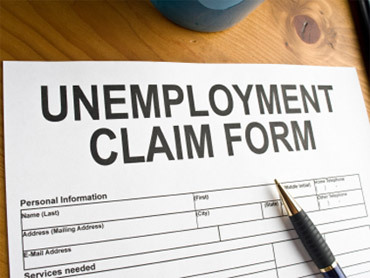 The Labor Department estimates that about 1.7 million have lost benefits as of last week, after extended unemployment insurance expired in late May. Those numbers could reach 3.3 million by the end of the month if Congress doesn't pass an extension when it returns from recess. During the recession, Congress added up to 73 weeks of extra benefits on top of the 26 weeks typically provided by states. But Senate Republicans have blocked the extension, citing concerns over the deficit. Initial claims have fluctuated in recent weeks. They have remained stuck near 450,000 all year, after dropping steadily last year from a peak of 651,000 in March 2009. The four-week average of claims dropped slightly to 466,000. In a healthy economic recovery with rapid hiring, claims usually fall below 400,000. The tally of people continuing to claim benefits plunged by 224,000 to 4.4 million, the department said. But that doesn't include another 4.6 million people who received extended benefits paid for by the federal government in the week ended June 19, the latest data available. Some companies are continuing to cut jobs. Wells Fargo & Co. said Wednesday it's laying off 3,800 employees over the next year as part of a restructuring of its consumer finance unit. The company has more than 278,000 employees. Retailers, meanwhile, reported sluggish sales in June as cautious consumers looked for deep discounts before buying. Costco Wholesale Corp. posted a solid revenue gain last month, but it was fueled by its international business. Target Corp. posted a modest gain that was below Wall Street expectations. Many teen merchants including The Buckle Inc., Hot Topic Inc. and The Wet Seal Inc. reported decreases in revenue. Slow retail sales and stubbornly high jobless claims will likely add to concerns that the economic recovery is slowing in the second half of the year. Home sales are plunging after a popular homebuyer tax credit ended. Consumer confidence fell sharply last month, and growth in both the manufacturing and service sectors is slowing, a private trade group has found. Many economists have reduced their forecasts for economic growth in the second half of this year. Forecasting firm IHS Global Insight on Wednesday cut its estimate for third-quarter growth to 2.3 percent, from 2.8 percent. That's much lower than the 3.8 percent annual pace it expects for the April-to-June period. Job creation has slowed too. Private employers created a net total of only 83,000 jobs in June and 33,000 in May, the Labor Department said last week. That's down from an average of 200,000 net new jobs in both March and April. Economists have focused on private-sector employment, as the overall employment numbers have been distorted by temporary government hiring for the 2010 census. The unemployment rate fell to 9.5 percent in June from 9.7 percent the previous month, the government said. The economy needs to generate at least 100,000 new jobs each month to keep up with population growth, and at least twice that amount to quickly reduce the unemployment rate.